It is by now a commonplace that the only way to end the Israeli-Palestinian violence is to divide the territory in two. All efforts at resolving the conflict have come down to haggling over who gets what: Will Israel hand over 90 percent of the West Bank or only 60 percent? Will a Palestinian state include any part of Jerusalem? Clear-eyed, sharply reasoned, and compassionate, One Country proposes a radical alternative: to revive the neglected idea of one state shared by two peoples. 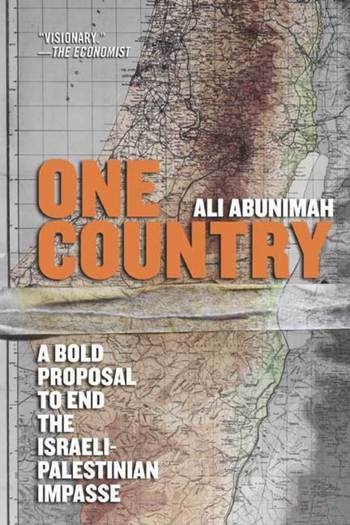 Ali Abunimah shows how the two are by now so intertwined—geographically and economically—that separation cannot lead to the security Israelis need or the rights Palestinians must have. Taking on the objections and taboos that stand in the way of a binational solution, he demonstrates that sharing the territory will bring benefits for all. The absence of other workable options has only led to ever- greater extremism. It is time, Abunimah argues, for Palestinians and Israelis to imagine a different future and a different relationship. Ali Abunimah, a Palestinian-American, is the co-creator and editor of the Electronic Intifada Web site. A graduate of Princeton University and the University of Chicago, he has written for the Chicago Tribune, among other publications.